Municipal bond funds are a very popular investment that provides its shareholders with a diversified portfolio of municipal bonds. Typically, investors use muni bond funds to provide tax-free income with a secondary goal of preservation of capital. Muni bond funds can be very specific in their selection of portfolio holdings, like only of a certain investment grade from a specific state or maturity. Therefore, muni bond funds have been known to be a relatively conservative for the average investor. However, some municipal bond funds have implemented leverage within the portfolio in an effort to increase returns, whether in the form of distributions or through total return. 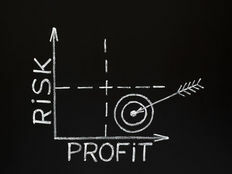 It is to be noted that with more leverage comes added risk to the portfolio and its shareholders. Let us explore this concept in more detail in the following sections. Use our 3 tips for investing in muni funds when selecting your investment. You might also want to explore our education section to know more on different ways to invest in muni bonds. A way for municipal bond managers to acquire leverage is by using tender option bonds (TOBs). Tender option bonds are a structured product held in the form of a trust fund. The municipal bond manager deposits some of its high-quality municipal bonds to fund the tender option bond trust. Then the TOB trust issues two types of securities: short-term floating rate and inverse floating rate investments. The short-term floating rate investments are then sold to money market funds that are looking for high-quality short-term investments. In exchange for the short-term investments, the money market funds pay cash directly back into the muni bond fund. This can be better understood from the flowchart shown below. 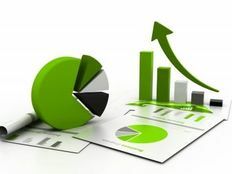 The muni bond fund also benefits because the municipal bonds that were deposited in the tender option bond trust have a higher yield than the short-term investments that were sold to the money market funds, thus creating a spread. This makes up the second portion of the TOB tender option bond trust that comes from the issuance of the inverse floating rate investments. These inverse floating rate investments pay out the excess income generated from the muni bonds within the trust. Discover bonds offering attractive yields using our muni bond trade tool. Leverage while using a TOB trust is established during the issuance of the short-term floating rate investments that are sold to the money market funds. Only a certain percentage of the underlying municipal bonds in the trust are used to create the floating rate investments. The rest of the amount is used to purchase the inverse floaters that allow the spread of income payments to go directly back to the muni bond fund. The muni bond then eventually uses the extra cash proceeds to buy even more longer-term municipal bonds that generate income for the portfolio. In essence, the ratio between the floating rate investments and inverse floating rate investments is called the leverage (or gearing) ratio. Using tender option bonds within a muni bond fund creates the potential to generate extra income that is passed on directly to the shareholder. For example, the Nuveen Municipal Income Fund, Inc. (NMI) is a fund that uses 5.79% leverage with tender option bonds. With that little bit of extra leverage, the fund is able to distribute a 4.11% yield. By comparison, the Nuveen Intermediate Duration Municipal Bond Fund (NUVBX) is a very similar bond fund that is close in both duration, average maturity and credit quality. However, the fund does not use leverage and has a considerably lower distribution rate of 2.23%. 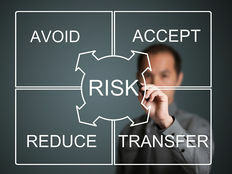 When it comes to leverage that leads to higher returns, risk is always part of the equation. The largest risk to using tender option bond trusts is that the municipal bond shareholders are exposed to the downside risk of both the municipal bonds within the fund and within the trust. If a bond is downgraded or the underlying price declines, the shareholders will see a decline in the fund value and a more magnified loss in the inverse floaters due to the use of leverage. The loss can be determined by the leverage ratio. If the entire portfolio is in jeopardy of a major decline, the risk to shareholders is even greater and a serious decline in the bond fund’s principal will be unavoidable. Another risk is that if the bonds in the trust do not make their payments or default, the trust is still liable for the floaters sold to the money market funds. This would cause the trust to terminate and cause the fund to sell off its holdings prematurely. Overall, municipal bond funds that incorporate tender option bonds within their holdings offer investors greater returns with additional risk. Municipal bond investments are typically conservative in nature with threats coming in the form of credit risk, interest rate risk and liquidity risk. However, adding tender option bonds exposes shareholders to leverage risk, therefore increasing their downside. Investors must be aware when investing in municipal bond funds that incorporate leverage that the principle can be negatively affected more than municipal bond funds that do not have leverage. Be sure to check out this article on how to remain aware of the due diligence process for evaluating municipal bonds.